I’ve always been surrounded by clutter. Through my writing ambitions and other considerations, I am reducing my possessions by more than half and writing about this difficult process of saying goodbye to hoarding. 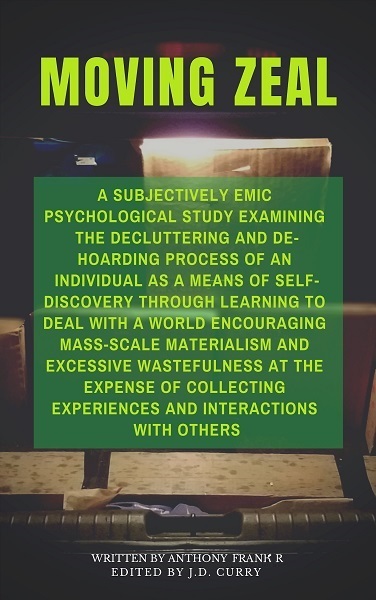 Writing about this process has been helpful for me to detach from the things that are weighing me down, and could be helpful in casual consideration for compulsive hoarders. I am focusing most of my Better Zombie writing efforts for now on this moving process – everything can be found here – so depending on how this moving process turns out, I may curate the best essays into a self-published book. When I wrote that introduction back on November 23rd, 2018, at 10 AM, I hadn’t realized what I know now, on April 15th, 2019, at nearly 10 AM: I still have way too much stuff even after five months of almost-daily downsizing.